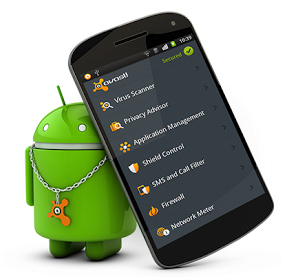 There are lots of Android security apps to choose from, but avast! Free Mobile Security has got the goods compared to many paid-for solutions, and it’s FREE. 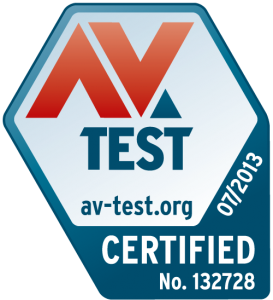 Independent German testing lab AV-Test evaluated 30 mobile security products for Android and awarded AVAST with its coveted certification for the product’s excellent protection against malicious apps (99.8%) and outstanding performance and usability (100%). Great, but does it slow down my phone? Will security software make my battery run down? avast! Mobile Security does not impact the life of your battery. Will security software slow down my smartphone when I’m using it to text, send email or access the internet? avast! Mobile Security does not slow down the device during normal usage. Will this app push me over my monthly data limits? avast! Mobile Security does not generate too much traffic, and helps you keep track of network data and Wi-Fi usage. I use lots of apps. I don’t want to be slowed down by security software. avast! Mobile Security did not generate any false warnings during installation of legitimate software from Google Play and their usage. Malware is a growing concern for Android users. avast! Free Mobile Security ‘s antivirus and anti-malware protection detected 99.8% of malicious apps discovered in the last 4 weeks. Download avast! Free Mobile Security from Google Play. It's the number 1 security app with 4.7 out of 5 stars! Help! My phone is lost! Anti-theft lets you remotely locate, lock, or wipe your device. It also has a loud Klingon-style alarm that will frighten would-be thieves! Call blocker blocks calls from known (like your ex-) or unknown numbers. Message filter lets you filter messages and/or mail for unwanted content. Safe browsing gives you protection from malicious websites and/or against phishing.